Papa Plover was no where to be found this morning (5:30 to 8am). This is very unusual as neither he nor Mama ever left the chicks alone for more than a few moments. 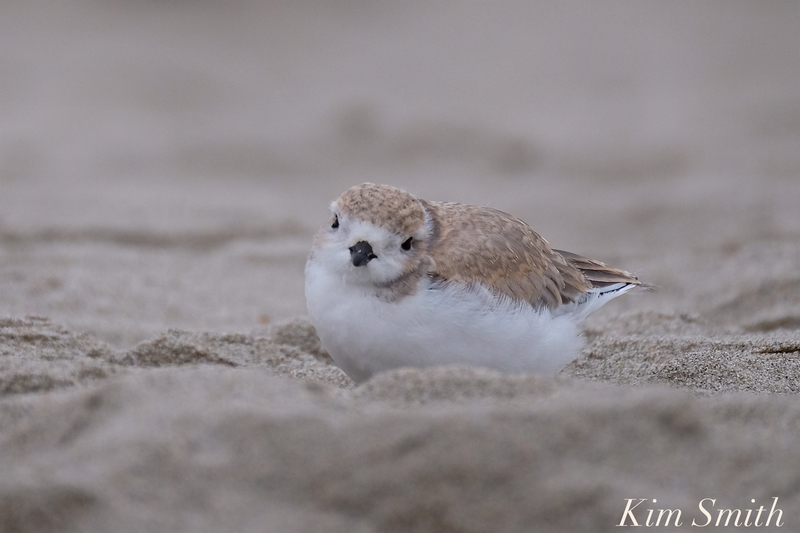 Little Chick spent a good part of the morning resting alone in the sand except for a few moments when he was feeding with the migrating Semi-palmated Plovers. If you see Little Chick, keep a safe distance, which will allow him to forage and rest. If anyone notices Papa, please let us know in the comment section or email me at kimsmithdesigns.com. Thank you so much. 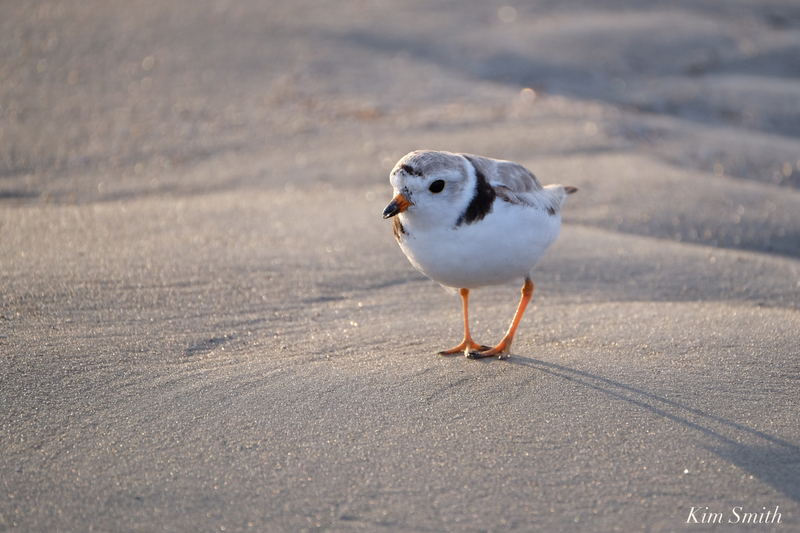 This entry was posted in Birds, Birds of New England, Cape Ann Wildlife, Life at the Edge of the Sea, Piping Plover and tagged Beautiful Birds of Cape Ann, Charadrius melodus, Good Harbor Beach, Piping Plover chick, Piping Plover fledgling, thirty seven day old Piping Plover on July 29, 2017 by Kim Smith.